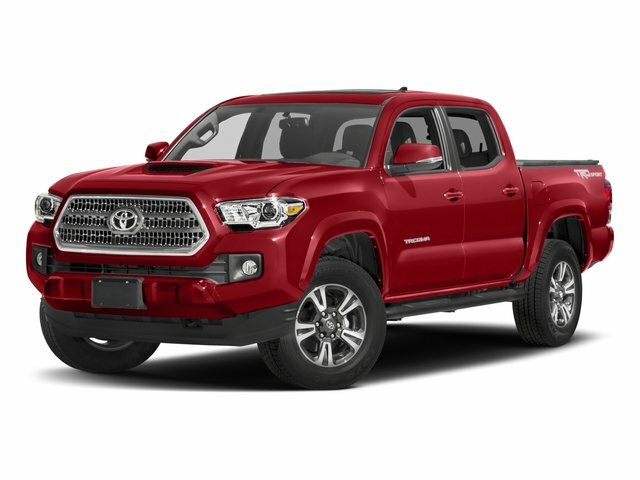 2016 Toyota Tacoma for sale serving Baltimore, Columbia & Towson, MD 5TFDZ5BN6GX004763 - J.B.A. INFINITI of Ellicott City. 2016 Toyota Tacoma TRD Sport V6 Black 4WD V6 **NAVIGATION**, **REARVIEW CAMERA**, **BLUETOOTH** **POWER SEAT** **STEERING WHEEL MOUNTED CONTROLS** **USB PORT** **Auto-dimming Rear-View mirror, Bumpers: body-color, CD player, Compass, Dual front impact airbags, Dual front side impact airbags, Electronic Stability Control, Exterior Parking Camera Rear, Fabric Seat Trim (FD), Front Bucket Seats, Front Center Armrest, Front fog lights, Front reading lights, Knee airbag, LED Daytime Running Lamps, Outside temperature display, Panic alarm, Passenger door bin, Power door mirrors, Power windows, Radio: Entune Premium w/AM/FM/CD/Nav/App Suite, Remote keyless entry, Security system, Speed control, Split folding rear seat, Steering wheel mounted audio controls, Telescoping steering wheel, Tilt steering wheel, Traction control, Turn signal indicator mirrors, Variably intermittent wipers, Wheels: 17 x 7.5 Machined Alloy. CARFAX One-Owner. Welcome to Maryland's #1 INFINITI Certified Pre Owned Dealer. Go to www.jbainfiniti.com to view over 30 photos of this vehicle. Every pre-owned vehicle for sale has completed J.B.A. INFINITI's 150+ point quality check to ensure you are completely satisfied with your purchase. Call us now @ (855) 742-5905.